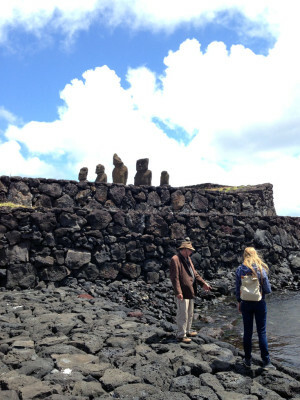 Home » Destinations » South America » Chile » Easter Island? Meet Paul & Stay at Tekarera Inn! When you come to a place, what do you look for? 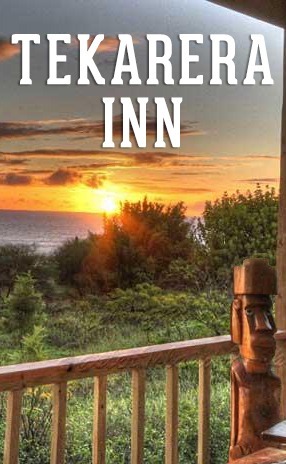 If it’s a local connection and an immense pool of local knowledge, then you’ve got to stay at Paul’s Tekarera Inn when visiting the Easter Island! 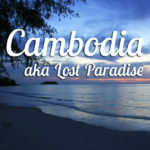 Believe me, I did a loooot of research when looking for the best place to stay. There are all sorts of accommodation, from the most basic ones to a super-luxury hotel. But one always stood out in bloggers’ unpaid (!) reviews and all the feedback I saw on TripAdvisor and elsewhere. Yes, it was Tekarera Inn! View of the ocean from the Tekarera Inn on one cloudy afternoon..
Now here I am, about to do the same. To compliment on what Paul has built and to recommend it to all the travelers that consider visiting Easter Island. Oh and if you need a nudge or two to convince yourself that Easter Island is a magical must-see spot on the Earth, then read my article about the Magic of Easter Island. That’s a tough one. You can’t just describe him in one sentence. Paul has had a very very interesting life. Although of American origin, he became drawn to the Easter Island in his teenage years when he first went on an expedition with Dr. Mallory to examine and restore Ahu Tahai, one area with several Moai statues. From the first email you’ll get from him, in which he’ll greet you in Rapa Nui language (‘Iorana! ), you’ll feel the care he has for his guests (better bring a strong sunblock!). Paul is incredibly open-minded. Life has taught him a lesson or two. He’s always willing to look at things from different points of view and he’s eager to be asked challenging questions about Moai and the Island. 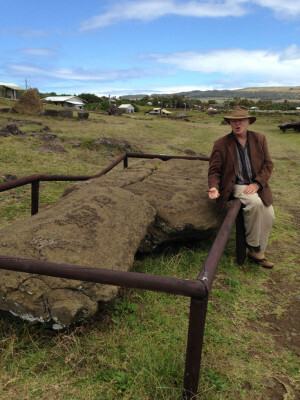 This is very useful, also when it comes to all the theories of how the Moai were built and what they represent. 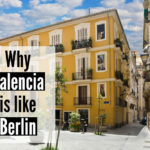 Paul knows several leading theories and he’s formed an opinion on them based on his observations and on living the local life. He was married to a beautiful Rapa Nui woman who was even the Miss of Chile. She showed him the real Rapa Nui way of life. Tekarera Inn is located on the edge of Hanga Roa, the capital of the Island. 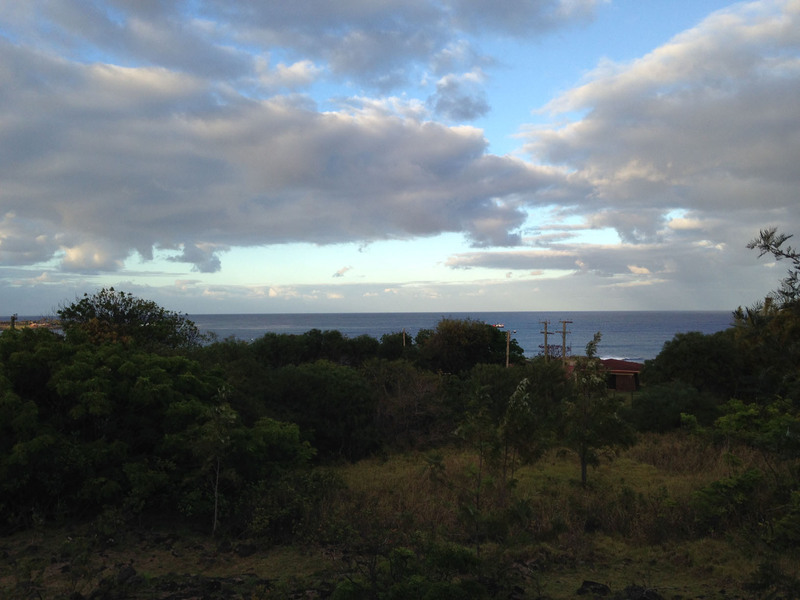 You can easily walk to the city and you have several Moai just 5 minutes walk away. There’s Ahu Tahai and Ahu Akapu archeological site. There are either private rooms (Tekarera Inn) or an adjacent 3-bedroom house (Kainga Nui). We stayed at Tekarera Inn and had a nice room with a bathroom. Many rooms overlook the ocean. Ours didn’t, but that was our choice, and we were satisfied with watching the ocean from the terrace. Breakfast is included. The Internet is slow, but that’s how it is on Easter Island. The infrastructure is just not ideal when it comes to telecommunications. The price might seem high at the first glance, but it’s pretty good for Easter Island. 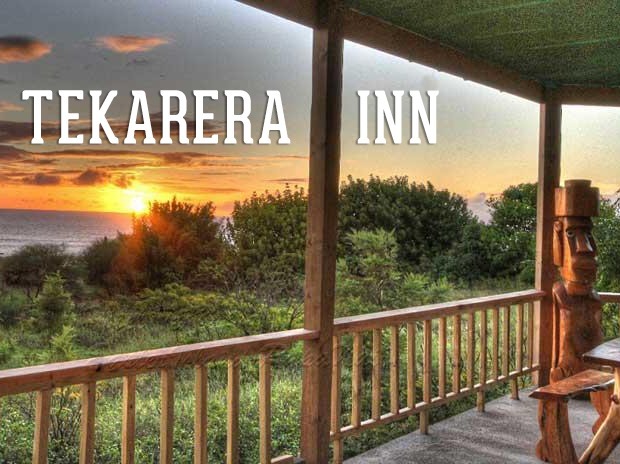 Check out Tekarera Inn’s website. I need to mention once more that I wasn’t paid for this review and I’ve written it only in pure admiration of Paul and Tekarera Inn. How I wish I could go back soon! Trust me, I’ll be the first one to buy Paul’s book once it’s finished and published! Do you dream of visiting the Easter Island? Really would like to get to Easter Island one day – maybe even on Easter :P I will admit this is my first post I have read about easter Island (from a blogger) and I am certainly sold. Thanks for sharing. Easter Island has just made a blip on my radar screen. Paul seems like a great guy whoi really believes in what he is doing. Nice spot! We loved Easter Island, it was one of the real highlights of our round the world trip. Would love to go back there one day!